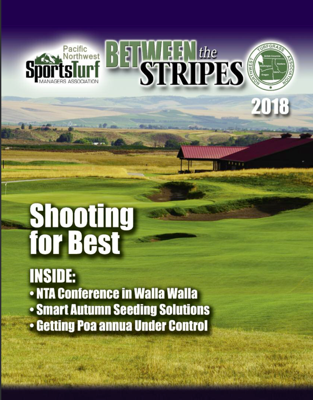 With the partnership between the Pacific Northwest Sports Turf Managers Association and the Northwest Turfgrass Association, PNWSTMA members are invited to the annual conference of the NTA. The 72nd edition of the NTA conference will include some top-notch national speakers for the gathering Oct. 28-30 in Walla Walla. Dr. Elizabeth Guertal, a professor of turfgrass management and soil fertility at Auburn University, will give a presentation during each educational session at the conference. Her areas of expertise include soil fertility, turfgrass management and fertilizer nutrients in the turfgrass environment. Also on the docket for Walla Walla will be presentations from all the turfgrass researchers at Oregon State University – Dr. Alec Kowalewski, Clint Mattox and Brian McDonald. The conference schedule calls for golf at Wine Valley Golf Club on Sunday night, followed by a wine dinner at the nearby Three Rivers Winery. Education sessions will be held Monday and Tuesday mornings with another round of golf Monday afternoon at Walla Walla Country Club. Click here for a conference schedule. More information on the entire conference is available by contacting Paul Ramsdell, the executive director of the NTA, at mpsparks90@aol.com or 253-219-8360.